The PSG logo symbolizes parent volunteers holding each other’s hands and working in partnership with the school in creating a caring environment for the children. 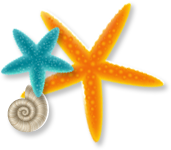 The school’s starfish logo in the middle shows that the children are always our central focus and no child is left behind. The blue circle at the bottom emphasizes the PSG standing on the same platform and sharing the same view and mission as the school. Download the registration form here. Join us today. Fill in the form and submit it to the General Office.